Scroll down to read more about these 5 tips for building healthy food habits. Learning how to build healthy eating habits could be one of the most important things you ever do for your health. Why is it so hard for so many of us to eat healthy? We are creatures of habit. We eat what we always eat, out of routine. If our office provides a pizza lunch every Friday, we’ll eat it. If we have the chance to eat birthday cake or cookies for free, we’ll take it because everybody loves free food. But not only do we have our individual habits compelling us to eat the same junk foods as always…we also have peer pressure and culture. What is peer pressure? And how does it relate to food? Peer pressure is when you go to a party that has potato chips, cupcakes, pizza, and the like, and you feel compelled to eat it. Even if you decide you won’t eat that party food, or maybe you even bring your own salad, you’re afraid people will make fun of you. Maybe your friends and family even ridicule you to your face or explicitly try to force you to eat the party foods. That’s peer pressure. Culture is at play when you walk into the grocery store and 80% of the store is packaged foods, baked goods, and general junk. Culture is what has us working long hours sitting in an office, stressed out to the max, then drive home on a commute for 30-60 minutes on average. All these cultural factors combined are what makes it oh so easy to stop by that drive through on the way home and eat the same fast food again and again, day after day. It all starts on the inside…with YOUR OWN habits. You can’t change your peers, and you can’t change culture at large, so don’t even try. Eventually your peers may see your healthy food habits and the results you get, and you may INFLUENCE those around you to eat healthier. But the change must start with your own habits. But how do you actually do that? 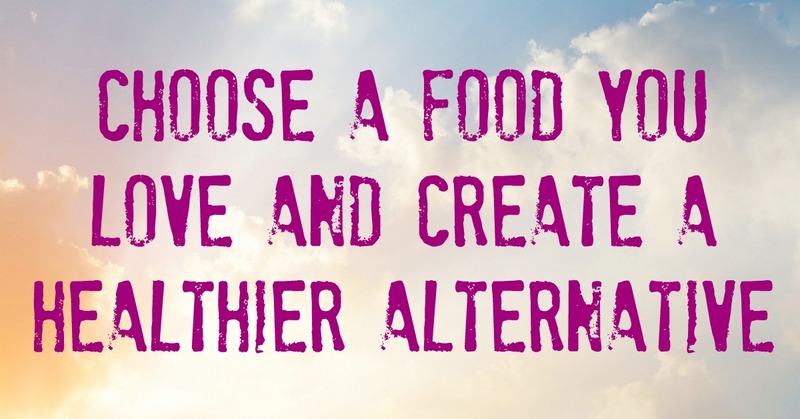 How do you change your eating habits? 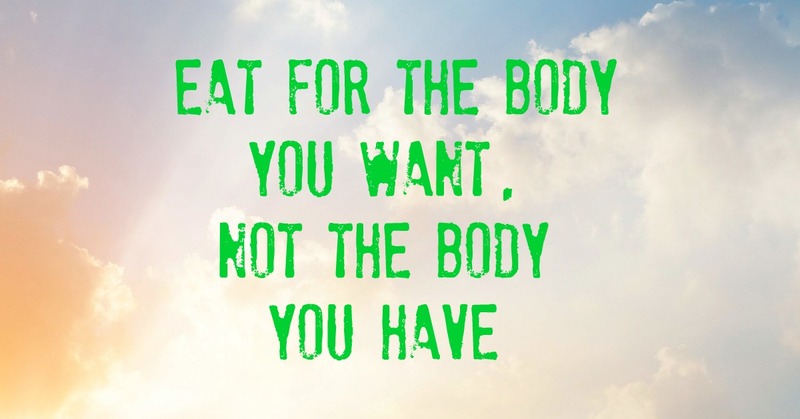 …And wake up one day and decide to eat clean…. …And actually follow through with it? To answer that important question, here are five tips to building healthy food habits that stick. This healthy food habits tip comes from Quartz: "Choose a food you love and create a healthier alternative." Do this instead of the typical once a week “cheat day” that allows your favorite indulgences. What’s wrong with a cheat day? The problem is you never train your body to let go of those cravings to unhealthy foods. You will likely find yourself living for the weekend, looking forward to that cheat when you can have junk again. But then it’s all too easy to slip and start cheating twice a week instead, then 3 times a week, then any time free food comes in front of your face. That’s NOT the way to build healthy food habits. You must “reset” your taste bud so they forget about those bad foods altogether. So what do you do in the meantime, before your taste buds reset? How do you avoid those cravings for foods you gave up? Nourish your sweet tooth with healthier alternatives of your favorite junk foods. Mirror the flavors and textures of your favorite indulgences, but YOU choose what goes into it. 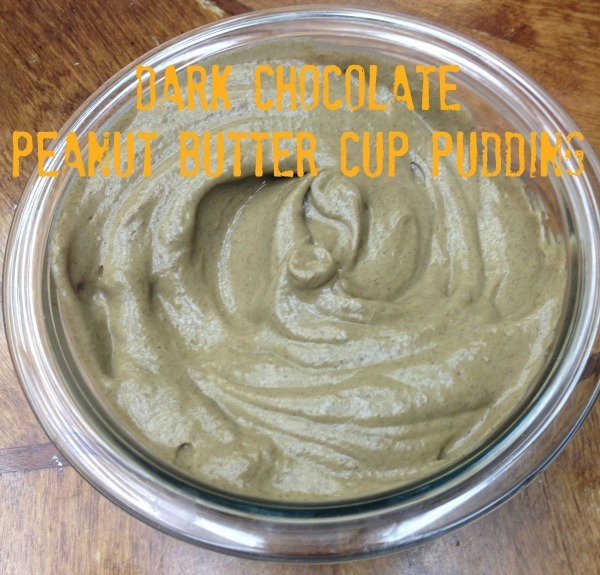 You can get this recipe and a lot more like it in this 28 Day Reset Program. And more importantly, I made a complete transformation to my cravings, taste buds and healthy eating habits. So if you’re looking to form healthy food habits, I highly recommend you check out this program. If you’re a picky eater or you think there are certain foods you just can’t stand (like vegetables of any kind), this tip is for you. Can’t give up that hamburger? Top it with an avocado to decrease the inflammatory effects of the red meat. Think you won’t like kale? Maybe if you pair it with bacon or sausage you will. I’m not advocating eating hamburgers, bacon or sausage. That’s just not my eating style. But if those are the foods YOU are currently eating, that’s OK. We all start somewhere. Don’t feel guilty about what you eat. The last thing I would want you to do is think you have to be perfect with your healthy food habits, and let that perfection scare you away from making any changes. 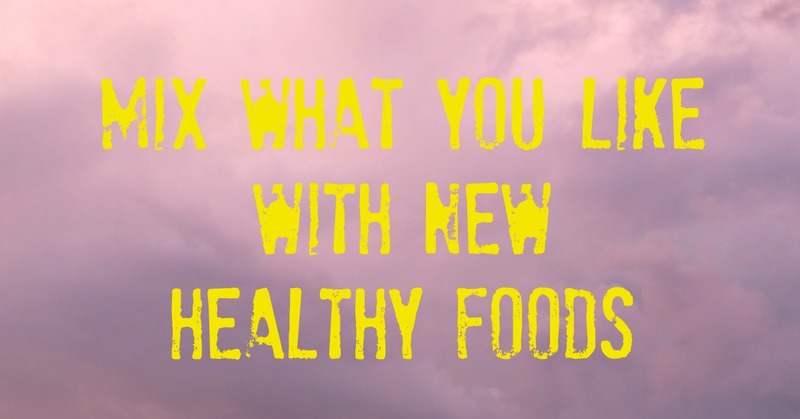 Instead, make small changes and take baby steps towards incorporating more healthy foods into your diet. You’ll experience the benefits of those foods immediately, and gradually adjust your taste buds so you can handle more and more. Soon you might even crave vegetables for dessert! The Best Way To Sneak In More Healthy Foods? Seriously, if you think you don’t like kale, or struggle to get in enough spinach, you need to try green smoothies. It’s super easy to completely disguise the taste of the vegetables behind the sweetness of the fruits and other ingredients. Get started with green smoothies now with my FREE 7 Day Green Smoothie Meal Plan. Click here to download now. For the next two tips watch this video by Sharee Samuels: "Breaking Up With Unhealthy Eating Habits." Or scroll down for a quick summary and my commentary of the two most important tips from this video. This tip is mostly about mindset. The next time that craving rolls around, or the next time you open that fridge to see what you can find, keep your weight loss goal in mind, not your current weight. At first it was very difficult for me to accept that I would have to give up certain food categories altogether. But then I realized that if I kept eating those foods, it would just keep me on the same path, propelling me towards further weight gain. If you want to make drastic changes in your appearance…it starts with drastic changes in your eating habits. No matter how strong you are, we all have our weak moments and if it’s there and it’s easy access, don’t be surprised when you go for it. Instead of working to improve your willpower, change your systems. Systems are more powerful than willpower. What if you live with family and/or roommates who keep this type of junk food around the house? I highly recommend that you DON’T try too hard to change their mind. At least don’t get into arguments about food. Simply keep your food in a separate area, whether it’s a separate cupboard or shelf in the fridge. 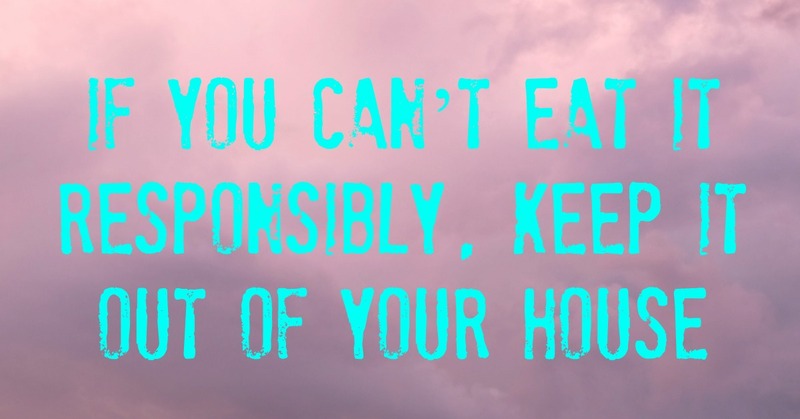 Remind yourself that you only eat food from your own shelf and the rest is off limits. If you can have them put their food away (inside the cupboard) instead of out in the open laying around, that’s better for everyone so there’s less temptation for mindless eating. I spent almost the entire year last year eating out virtually every single meal. Sometimes I went to “healthier” fast food like Rubio’s or Chipotle, other times in sit-down restaurants. And the rest of the time I would either heat up a can of soup, make a frozen veggie patty, or something easy like that. The reason I did that was because I was working a lot of long hours and not at home much. And I didn’t have a system in place to cook regularly. The result? I gained about 15 pounds over the course of the year! Most of this happened without me noticing it until about October. 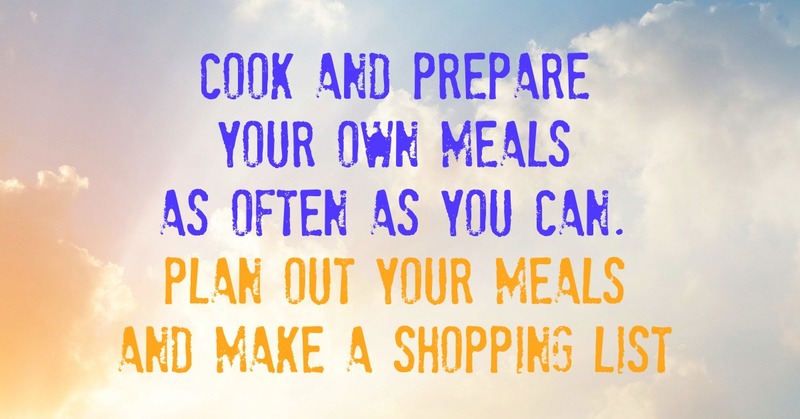 Now thanks to the Reset 28 Program I have a regular routine of planning my meals, shopping for groceries with a list, prepping meals in advance, and cooking almost every day. It’s not easy but it’s one of the most important habits you can form. When you eat out or you rely on convenience foods, you relinquish control of what goes in your body. Over the long run, that takes a serious toll on your body. So take back control and start cooking! All it takes is a bit of planning on the weekend, one grocery trip stocking up on your goodies for the week…and then you can prepare meals in as little as 15 minutes each. Don’t think you have to cook something fancy. Simple little meals are GREAT and far better than fast food or eating out. 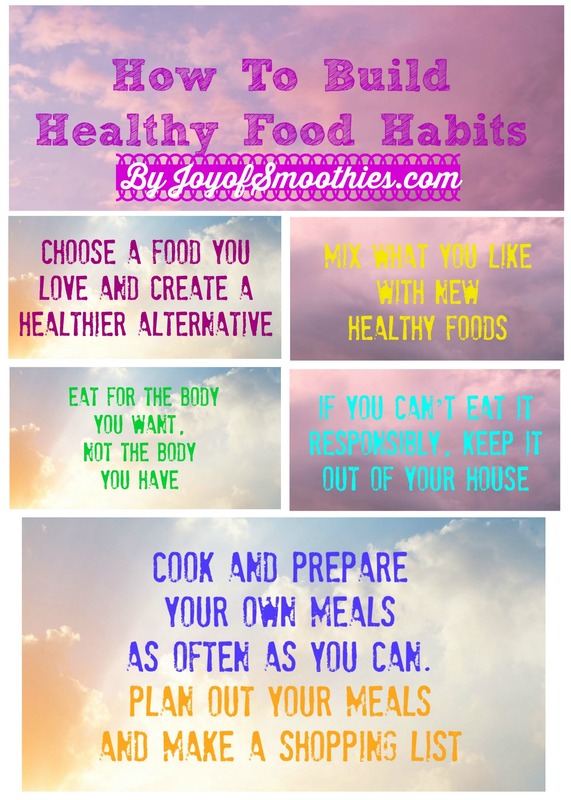 I hope you enjoyed these 5 tips for building healthy food habits! The bottom line is don’t rely on willpower. We are all human and it’s very difficult to train your willpower to be any stronger that it already is. If your willpower isn’t quite where you would like it to be, don’t beat yourself up and don’t swim upstream. Instead switch your focus to setting up healthy eating habits and systems. It’s all about getting organized in advance and setting yourself up for success. Then the day-to-day task of actually eating healthy becomes sooooo much easier. Please let me know in the comments box below your thoughts about these tips and any personal stories you have that may be similar to mine.